A pensioner has been arrested on suspicion of possession of an offensive weapon following an incident at a St Helens primary school yesterday. 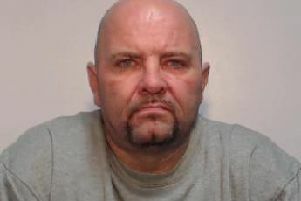 The 65-year-old was detained today (Tuesday) and is currently being held at St Helens police station. A man was arrested following an incident which took place yesterday at Merton Bank Primary, Roper Street, Parr, during the school’s sports day. The Reporter has been told by a parent that a man climbed through a fence into a field behind the school and came within a few feet of children participating in a sports race. He was challenged by a staff member and a parent before fleeing. Police say it is believed the man dropped a knife as he fled the scene. The arrested man was held on two counts of suspicion of possession of an offensive weapon.